A high profile delegation of TUI, the world’s number one integrated tourism Group, headed by the Group CEO Fritz Joussen will be visiting Sri Lanka today (Thursday). Organized by its joint venture partner Aitken Spence Travels, this would be the first time that Fritz Joussen will be visiting Sri Lanka. Joussen will be accompanied by other TUI top-level executives including: the CEO of TUI Germany, Managing Director of Product and Purchasing, CEO of TUI Nordic and Managing Director of TUI UK and Ireland on this visit. This visit highlights the focus on destination Sri Lanka and is a major endorsement from the global tourism giant. TUI provides services along the entire tourism value chain for its 30 million plus customers from 31 source markets travelling to 180 destinations. It employs over 77,000 people in 130 countries. The group owns over 300 hotels & resorts with 210,000 beds, operating 136 aircrafts and 12 cruise ships. The company boasts revenues of €20.1 Billion in turnover and an operating result of €1.069 Billion. The TUI Group’s share is listed on the London Stock Exchange in the FTSE index and in the regulated market of the Frankfurt Stock Exchange. The TUI group is an equal share partner of Aitken Spence Travels, the largest travel company in Sri Lanka. 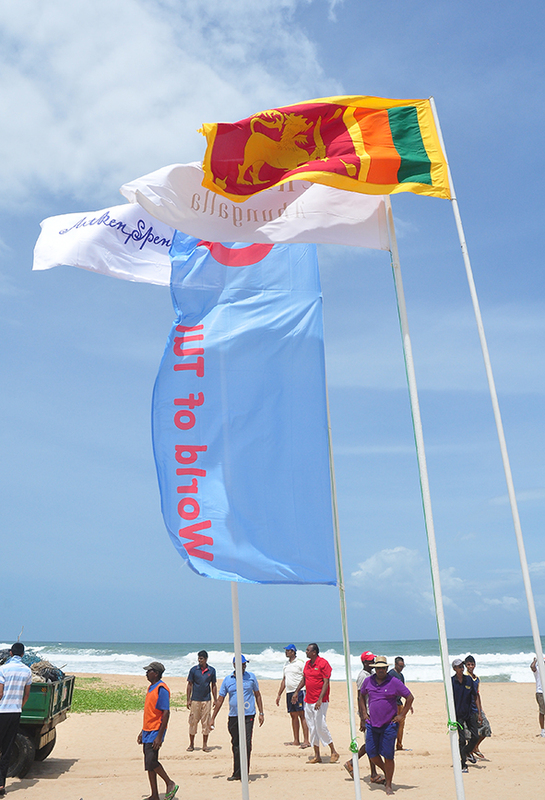 TUI enjoys a relationship of thirty five years with Aitken Spence, promoting Sri Lanka as a destination across a wide variety of source markets, especially in Europe. The partnership will be further strengthened with the commencement of planned charters from UK and Scandinavia, planned to start in the near future, along with the expected increase in arrivals from Germany and the Benelux region. The Lankan tourism industry will benefit greatly from these initiatives, adding traction to the tourism master plan of the country. The TUI team is scheduled to meet the Prime Minister Hon. Ranil Wickramasinghe, the Minister of Tourism Hon. John Amarathunga and with other key tourism industry officials during their one-day stay. The delegation will also make visit to 501-room RIU Ahungalla – a joint venture with Aitken Spence Hotel Holdings, which is currently under development. In addition, the TUI team will also visit other hotels that would be featured in its brochures. RIU Ahungalla once completed will be Sri Lanka’s largest beach hotel with 501 rooms. The hotel will offer a new segment of “all inclusive,” a first of its kind to Sri Lankan consumers and will extend its wings to its brand loyal customers travelling the globe. The TUI Charter operation will definitely generate more opportunities for other hotels to generate more business due to the increase in arrivals. 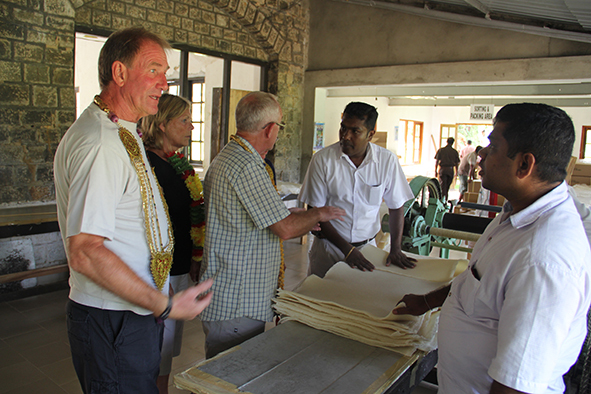 “TUI has continued to express interest in Sri Lanka as an important destination in the region. This historic visit is a result of a longstanding commitment and the growing openness in Sri Lanka. The overall increase of business from TUI will create opportunities for the growth of inbound numbers and the potential development of Sri Lanka’s tourism product that this visit may facilitate”, said Nalin Jayasundara, Managing Director, Aitken Spence Travels and a respected industry veteran. As the country’s biggest tour operator, Aitken Spence Travels handles an annual volume of over 125,000 inbound tourists, and continuously strives to contribute to the growth of inbound volumes to the country. Aitken Spence Travels, Turyaa Kalutara and SriLankan Holidays have joined hands to launch a promotional campaign across several cities in India to attract more tourists to Sri Lanka. The campaign will consist of cinema and TV advertising, as well as presentations to key agents covering all the main cities. Aitken Spence Travels is the largest tour operator bringing in over 120,000 tourists to Sri Lanka. SriLankan Airlines flies to 7 destinations in India. The 200-room Turyaa Kalutara is the latest property opened by Sri Lanka’s largest resort operator, Aitken Spence Hotels. The campaign will break and coincide with the Thai Pongal festival on TV and on 50 Cinema locations in major cities and states such as Mumbai, Karnataka, Bangalore, Tamil Nadu, Chennai, West Bengal, Kolkata, Delhi, Kerala and Cochin. Aitken Spence Travels has developed two exclusive travel packages, namely ‘The Best of Sri Lanka’ and ‘Waves of Fun’ for this promotion, which is combined with air fare by SriLankan Airlines. ‘The Best of Sri Lanka’- a 5 days/4 nights package- would give the Indian traveller the experience of savouring some of the most beautiful locations in the island that includes sites of the “Ramayana trails”. The traveler will also stay in some of the finest hotels in Sri Lanka during the tour, such as Heritance Tea Factory, the Earl’s Regency and Turyaa Kalutara. ‘Waves of Fun’ package is a 4days/3 nights exclusive package at the beach at Turyaa Kalutara, allowing the traveller to enjoy time out for themselves with many excursions they could pick and choose. Sri Lankan Airlines has launched the special Sri Lanka travel packages to the top Indian Tour operators in three of the most important source cities in India through exclusive events. Accordingly, launch events took place in Delhi on the 8th of January, in Mumbai on the 13th of January and in Chennai on the 18th of January. “Last year compared to the overall growth in tourist arrivals of 18%, Indian tourist arrivals experienced a growth of 30% and remains the number one country for tourist arrivals to Sri Lanka with a figure of over 320,000 arrivals. In order to show our further commitment to the Sri Lanka Tourism product, SriLankan Airlines will continue to promote Sri Lanka with tailor made packages to the Indian market throughout the year”, said SriLankan Airlines’ Manager for North India, Chinthaka Weerasinghe. “As Sri Lanka’s leading destination management company, we have relentlessly pursued unchartered markets globally, bringing in valuable diversity to the country’s tourist portfolio. Sri Lanka as a destination has to have a strategic focus on India for many obvious reasons, such as proximity, connectivity and size. There is tremendous potential in developing the Indian market for Sri Lanka. We see SriLankan Airlines as a critical partner in this process who have continued to support the industry in promoting destination Sri Lanka”, said Aitken Spence Travels Managing Director, Nalin Jayasundera. One of the most globally well-known family business consultants, Jose Manuel Zugaza celebrated his 25th wedding anniversary with his wife and three children in Sri Lanka recently. Mr. Zugaza, a former Executive President of Banco de Madrid of Spain and now the Managing Partner of UNILCO, a leading consultancy for family companies. The Zugaza family experienced the Cultural Triangle in a tour organized by Aitken Spence Travels through their partner, a high-end tour operator in Spain. Aitken Spence Travels is the largest inbound tourist operator in Sri Lanka. Mr. Zugaza and his wife Carlota Escribano, who is a Director of Institutional Relations at the Development Bank of Latin America described their visits to the UNESCO World Heritage sites, the Sigiriya Rock Fortress and the Dambulla Cave Temple as “epic”. They also took part in a biking tour through the ruins of Polonnaruwa, another UNESCO World Heritage site. “We will never forget encountering a herd of elephants on the main road, from Polonnaruwa on our way to a Safari tour in Minneriya”, said Ms. Escribano. Jose Manual Zugaza is also the President of the Asociación Española de Consejeros de Empresas Familiares, Member of Family Business Network (F.B.N.) of Lausanne (Suiza), Member of Family Firm Institute (F.F.I.) of the USA and external adviser for Executive Family Boards in Europe and Latin América, among others. He is an expert on generational transition processes, and a specialist mediator in conflict resolution family business. He is the Author of several publications on strategies for family business and he wrote the book “Las Equivocaciones Que Nos Hicieron Triunfar” (“The mistakes which made us succeed”). Aitken Spence Travels, Sri Lanka’s leading Destination Management Company has surpassed the one hundred thousand milestone of handling visitors to Sri Lanka for the financial year of 2014/2015. This is a significant milestone in the Company’s 38-year history. “We have continued to grow our business year on year and we are delighted with our results” noted Mr. Nalin Jayasundera Managing Director of Aitken Spence Travels. “We have shown significant capacity to adjust to the changing market conditions and fuel growth in spite of the lingering economic and geopolitical challenges. With these results, we are confident we will continue to have a major impact on the country’s tourism sector. Based on our numbers Aitken Spence Travels continues to be the highest contributor to the government’s Tourism Development Levy in Sri Lanka from amongst all travel companies” he added. Furthermore Aitken Spence Travels is a significant contributor to our partner hotels by providing 248,000 room nights annually, being the biggest supplier of inventory to the Hotels sector. This achievement further reinforces the company’s number one position in the destination management business and is another feather in the cap of achievements which includes Aitken Spence Travels being awarded the Presidential award for three consecutive years and being inducted into the Hall of Fame. Aitken Spence was the winner of Presidential award for best Professional Conference Organizer (PCO) in Sri Lanka for 3 consecutive years and entered the Hall of Fame as well as being the recipient of Sri Lanka Tourism Award for Professional Conference Organizer. 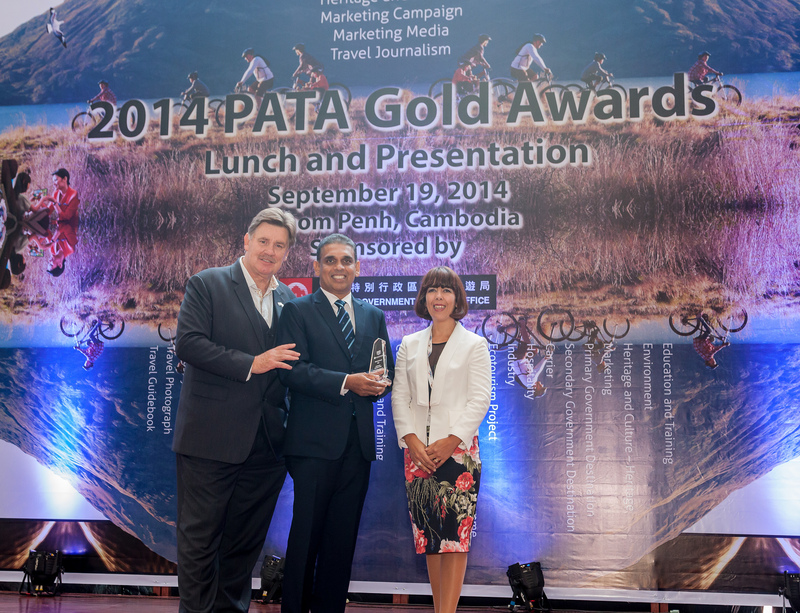 The company was also the proud recipient of the prestigious PATA gold award in 2014 under the Environment – Ecotourism Project category for an innovative excursion program developed together with the Elpitiya plantations. Aitken Spence Travels is fully diversified in to every aspect of tourism related activities namely; Leisure, Eco, Adventure, MICE, Shore Excursions for Cruise liners and luxury. It is considered as the leader in destination management in Sri Lanka with its creative and innovative tours and services. Partnered with the world’s largest tourism integrated company, TUI group, with over three decades of experience, the company is backed by a reputation of being the most professional in the business. Commenting further on this significant achievement Mr. Jayasundera stated “I would like to thank our staff and the management team for their commitment, dedication and hard work in serving more than one hundred thousand clients. I am glad that the creative culture encouraged at Aitken Spence has enabled our staff to be innovative in creating tours to the ever demanding needs of the modern traveler and taking risks in exploring new markets whilst being responsible in all their efforts. I would like to thank our tour operator partners for the continued trust and confidence in us by promoting Sri Lanka as a destination. The support of our Hotel partners, Airline partners, other suppliers and Sri Lanka Tourism need to be acknowledged for helping us reach this milestone”. Looking further Aitken Spence Travels hopes to continue to strengthen and build its international market position. We will continue to shape the tourism industry, by pioneering in terms of innovation in products and exploring markets, quality of the services offered and exceeding customer expectations. Twelve leading tour operators and destination promoters from Brazil arrived in Sri Lanka on a week-long familiarization tour sponsored by the country’s largest destination management company, Aitken Spence Travels. 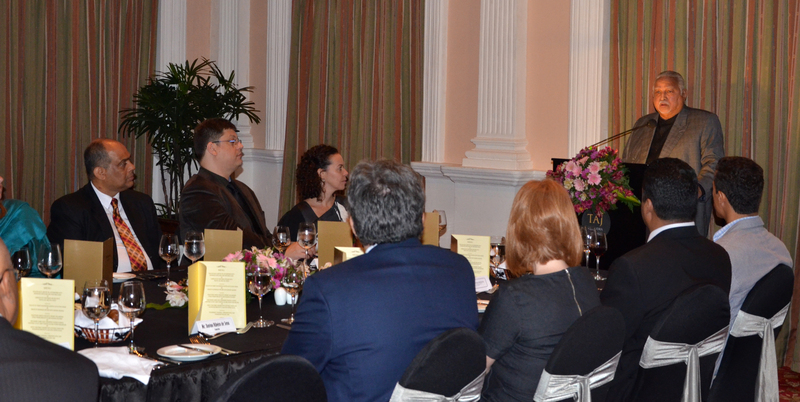 The tour is being jointly organized by the Sri Lanka Embassy in Brazil and Aitken Spence Travels. The operators visiting Sri Lanka are amongst largest members of BRAZTOA, the umbrella organization of travel companies in South America’s largest nation. “Brazil is one of the emerging economic giants with a population that is becoming increasingly global in its outlook, with corresponding growth in international travel. It is in the long-term interest of Sri Lanka to develop a healthy mix in its tourist portfolio. Over the last decade we have been aggressively targeting new markets for Sri Lanka which we believe has contributed to only our growth as a company but to Sri Lanka as a destination”, said Nalin Jayasundera, Managing Director of Aitken Spence Travels. Aitken Spence Travels is joint venture between the world’s leading travel company TUI Travel PLC and local conglomerate Aitken Spence PLC. 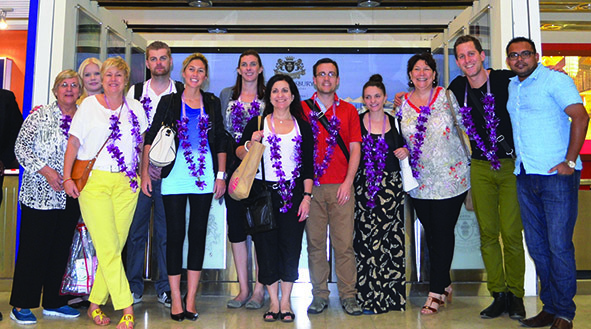 During the eight day familiarization programme organized by Aitken Spence Travels, the Brazilian tour operators will have the opportunity of visiting many of the islands key tourist hotspots, including the Cultural Triangle, Pinnawela Elephant Orphanage, tea plantations in Nuwara Eliya, Yala National Park, Galle and the south west coast. 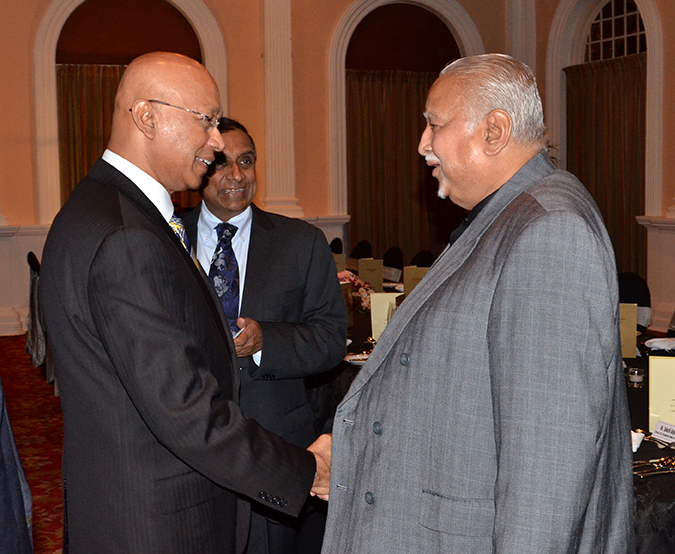 The visiting party were hosted for a welcome dinner at the Taj Samudra Colombo on Wednesday the 3rd of December. The Brazilian representatives were met by the Chairman of Aitken Spence PLC Deshamanya D H S Jayawardena, Sri Lanka’s Ambassador to Brazil Raja Edirisuriya, Aitken Spence Deputy Chairman & Managing Director J M S Brito, Managing Director of Aitken Spence Travels Nalin Jayasundera, Vice President/COO of Aitken Spence Travels Tikiri Ellepola and Area Director Sri Lanka & General Manager Taj Samudra Rohit Khosla. Sri Lanka’s Ambassador to Brazil, Raja Edirisuriya said that attracting Brazilian tourists is only a matter of making them aware of the uniqueness of Sri Lanka as a tourist destination. He was optimistic that tourist arrivals from Brazil can be increased substantially if an effective promotional campaign is launched. With increasing disposable income, Brazil is becoming an important source for global tourism, especially for Asian countries. According to Euromonitor International, the number of outbound tourist trips from Brazil continued to increase strongly in 2013, growing by more than 12% to reach 9.1 million trips. This increase was well above Latin America´s average of 7% for the same year. Asia has become one of the new destinations for many Brazilians and an increasing number of tourists visit Asian countries every year. Thailand alone receives more than 40,000 tourists from Brazil annually, leading Brazilian tour operators, said that Sri Lanka will be a highly demanded destination by many Brazilians in years to come. Sri Lanka’s largest Destination Management Company, Aitken Spence Travels organized its own ‘Big Holiday Beach Clean’ event in Ahungalla this July, as a part of TUI Travel PLC’s worldwide series which included destinations such as Mexico, Greece, Turkey and even a reef clean in Egypt, to support ‘Make Holidays Greener Month’, the Travel Foundation’s annual campaign to celebrate greener holidays. 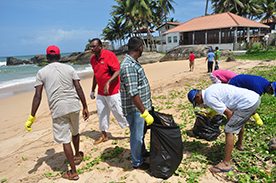 Kicking off with volunteers from Aitken Spence Travels, Heritance Ahungalla and its surrounding local community the event attracted more than 150 participants who cleaned a 3Km beach stretch. The area cleaned also includes the proposed five star, five storied hotel which is the latest hotel project of Aitken Spence Hotels, a joint venture with RIU Hotels of Spain, to be opened in mid-2016. Four hundred kilograms of debris collected included various items of plastics, polythene, metal, foam and glass items, which was handed to Heritance Ahungalla for correct disposal of the substances. Further the collected waste will be analysed to assist in better understanding the scale of the issue and implement additional solutions in the future. 6.4 million tons of marine litter enters the world’s oceans each year, which not only threatens wildlife, but also human health, communities and economies around the world. 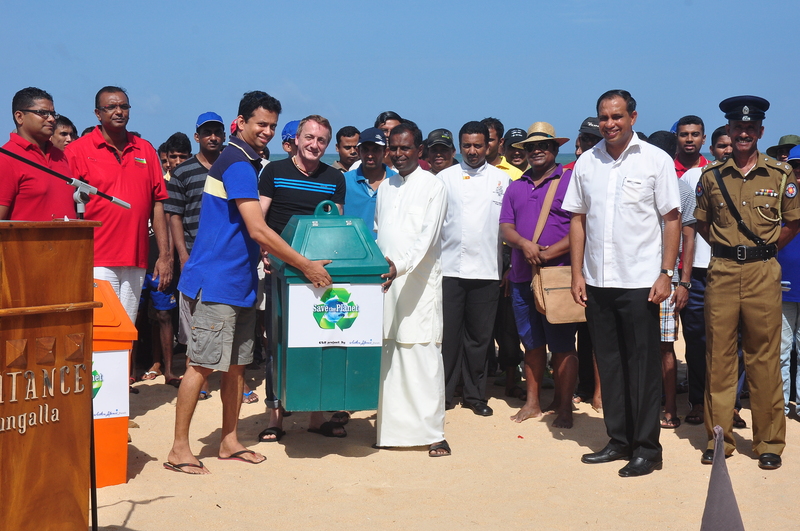 A keynote speech delivered by Mr. Ravi de Silva, the Group’s Sustainability Consultant, encouraged the local authorities to keep the beaches clean; and to build simple steps so that the public too can take to protecting the environment and local wildlife. Mr. de Silva further reiterated the importance of balancing the eco-system and its impacts from not following such best practices. “We are delighted with the outcome of the drive. 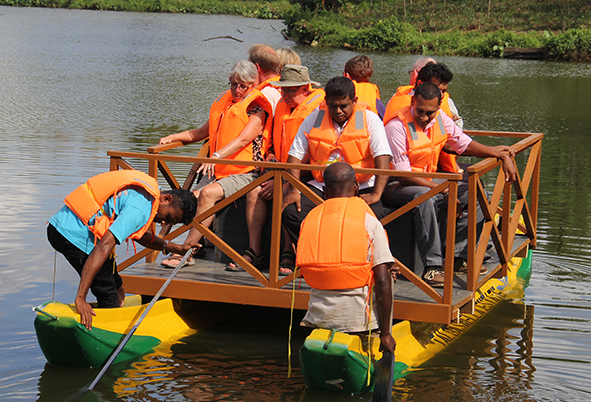 Sustainability is a key focus area for Aitken Spence Travels. We hope to encourage our customers across destinations on the importance of greener holidays and raise awareness on the issues of sustainability in destinations” noted Mr. Nalin Jayasundera, Managing Director of Aitken Spence Travels. The local authority in Ahungalla headed by Mr. A. Dayarathne, the Chairman of the Pradeshiya Saba promised to support the initiative by assisting in creating further awareness amongst the public while ensuring collective actions are taken by the governing authorities on expanding the mindfulness on such campaigns. With a significant presence in Maldives and fully diversified in to every aspect of tourism, Aitken Spence Travels is the leader in destination management in Sri Lanka. Partnered with the world’s largest name in travel, TUI Travel PLC, and with over three decades of experience, the company is backed by a reputation of being the most professional in the business. With the commitment towards offering sustainable tourism, Aitken Spence Travels is endowed the Carbon Neutral status by the Sri Lanka Carbon Fund and maintains ISO 9001:2008 and 14001:2004 certifications. 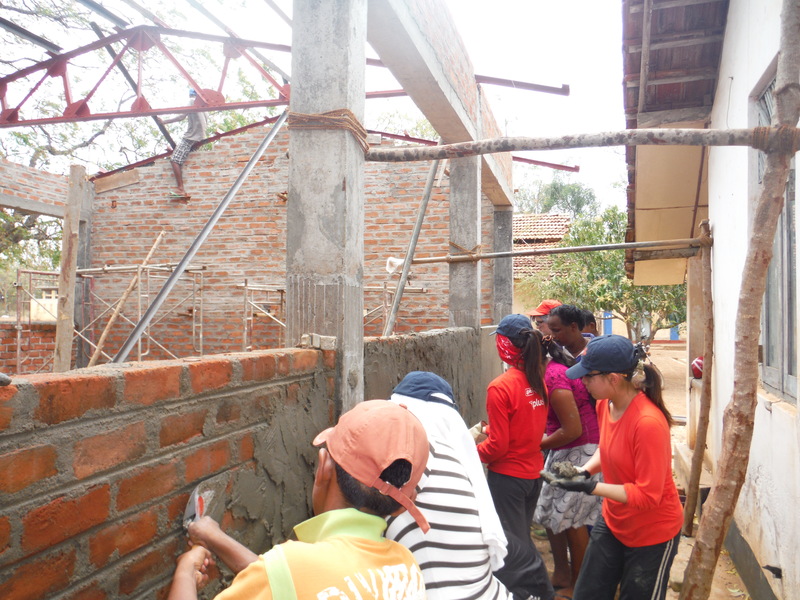 Twentieth project in the history of Global Perspectives, thirty selected grade 12 students (ages 17 or 18) of the programme this year ventured to Sri Lanka, to build a vocational classroom at the Light House School in Andigama village. Global Perspectives a program offered by Richmond Secondary School in Canada aims to give its high school students an opportunity to engage in a year-long study focusing on global issues. Students involved in the programme participate in a humanitarian field trip for a two-week period concentrating on community development projects of a chosen country. Creating more opportunities for the local community of Andigama a small village located in the district of Puttlam, students interacted directly with the villages, through sports, music, dancing and work. Further to building the vocational classroom, a new well was constructed to provide access to the basic need of fresh clean drinking water. “The lasting bonds not only occur between the teachers and the students, but also with the locals that we meet. The students come expecting to help the locals, but find that it is the locals that help them; by opening their eyes to different perspectives that they never would have seen otherwise” Ms. Angelica Laron and Margarita De Guzman noted for the Students of Global Perspectives. Aitken Spence Travels was responsible for providing personalized and comfortable transport and accommodation services for the talents of Richmond Secondary School. Aitken Spence Travels is the largest destination management company in Sri Lanka and the only one to be included in the Hall of Fame of the Presidential Awards for Travel & Tourism. The students of Global Perspective completed their project in Sri Lanka on the 21st of March and will head back to Canada during the coming week.